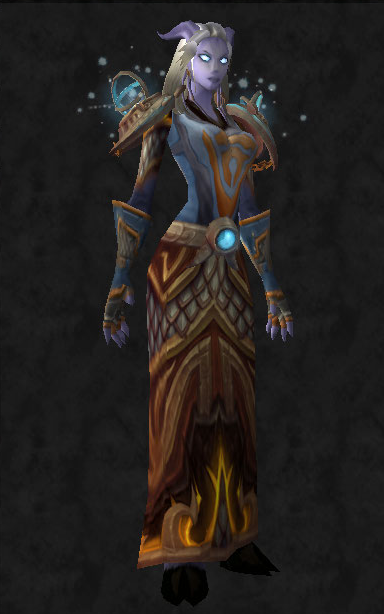 Vault of Light: Tabard of the Hand transmog contest entry. 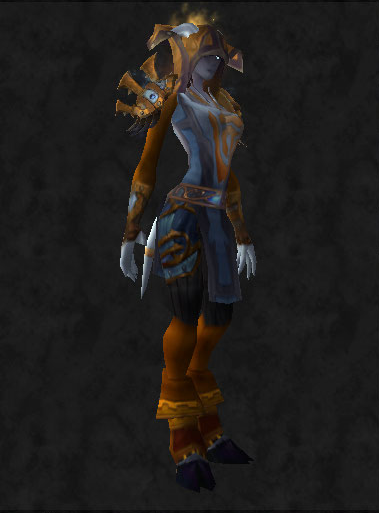 Tabard of the Hand transmog contest entry. Samaramon created a Transmog contest involving the Tabard of the Hand which is a tabard you get from completing the Draenei starting area. When she announced it I had great intentions of creating a look for each of the armor classes but I've just moved house and we only just got our internet back! So with the deadline being tomorrow I've managed to knock two together quickly this evening. ~ The set MUST be transmoggable. No full plate then cloth head, for example. ~ The items used MUST exist in-game! Please don’t use items that were either removed or their model is in the game files but doesn’t actually exist in-game. ~ Do NOT post incomplete sets! While things like wrists aren’t visible and can be excluded, please don’t send a set without shoulders or boots for example. ~ The weapons MUST correspond with the class! 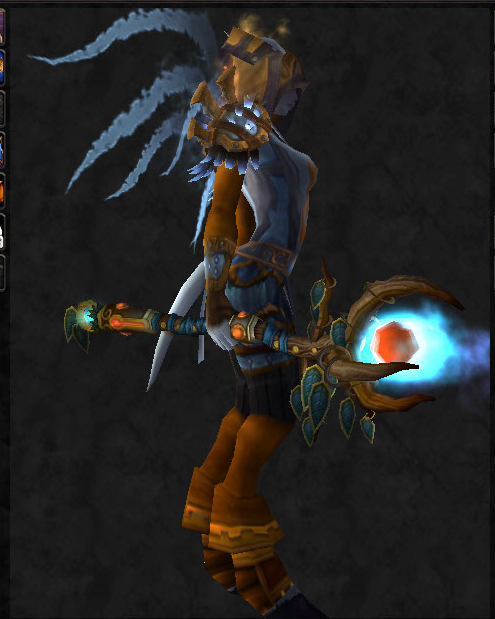 Please don’t send me a priest with a polearm. ~ You MUST attach a list of the items! If I love your idea and would want to transmog it, I’ll need the items! ~ Do NOT post someone elses idea. While similarities may occur, after all there are so many items in-game, please try to be original and don’t copy others. ~ Stick to the deadline! I won’t accept entries past my deadline, so don’t send. It wouldn’t be fair. I don't usually like submitting transmogs via Moggit as I like to go out and collect all of the bits but time wasn't on my side! You can read more about the content on Sam's blog here. I fell in love with the cloth set as soon as I saw it, and I instantly knew it will win. Just awesome work. Thanks so much for entering and showing me this amazing outfit! Aw thank you so much Sam, I'm so honored! I can't believe it!